БИБЛИОТЕКА Library - Питомник шпицев "Гейм Тайм" . Щенки шпица ШОУ класса и для души. ПРОЦЕСС СМЕНЫ ЗУБОВ У ШПИЦА / The process of change of teeth at Spitz. АЛОПЕЦИЯ У СОБАК ИЛИ СИНДРОМ ДУШКИ БУ/consequences of short haircuts. КАК ЗАЩИТИТЬСЯ ОТ МОШЕННИКОВ ПРИ ПОКУПКЕ ЩЕНКА / How to protect yourself from fraud when buying a puppy. 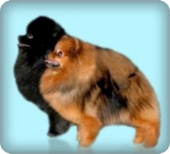 ЧТО ТАКОЕ КЛАСС СОБАКИ (ШОУ, БРИД, ПЭТ)?/ What is class of dogs (show, breed, pet)? ДЛЯ ЛЮБИТЕЛЕЙ ВЯЗОК "ДЛЯ ЗДОРОВЬЯ" / For lovers of mating, "for the health"
СТАТЬЯ Kristina Olsauskas "ПРО СВОБОДНУЮ СТОЙКУ" / Article Kristina Olsauskas "Loose stand in the ring"
ИНТЕРВЬЮ С РИЧАРДОМ БЬЮЧЕМПОМ, ИЗДАТЕЛЕМ ЖУРНАЛА "KENNEL REVIEW" / Interview with Richard Byuchempom, publisher of the magazine "Kennel Review"